Need a Black Panther outfit? Here's 8 Brands Who Have What You Need! Looking for Your Black Panther outfit? Here are 8 Plus Size Friendly Brands Who Have What You Need! Are you headed to Black Panther and need a fly outfit? Well, these 8 brands are serving up major style for the plus size ladies, too! Here are 8 places to shop for your look for Black Panther premiere weekend! Sooooo, do you have YOUR tickets yet for Black Panther? I do. Ohhhh, my girls and I have been plotting and planning on what we are going to wear, where we want to go and how geeked we are about this movie! Coming to theaters near you, on February 16, Marvel’s first black superhero movie, Black Panther has sold more advanced ticket sales than all previous superhero movies every released! We are hyped, BUT on the heels of the amaaaazing red carpet premiere of Black Panther, has all of us fine tuning our looks, because… yes. We are sooooo looking forward to a different kind of superhero movie and are excited to see the films positive message. I don’t know about you, but we have been trying to find the perfect outfit to wear for the premiere of Black Panther! For the red carpet premiere of Black Panther, we fell in love with the cast incredible looks and I want to channel just a drop of their decadent regalness, don’t you? Sooo to help you out, I have rounded up a few places that offer more than a few options that you can rock to represent and enjoy Black Panther, in style!!!! 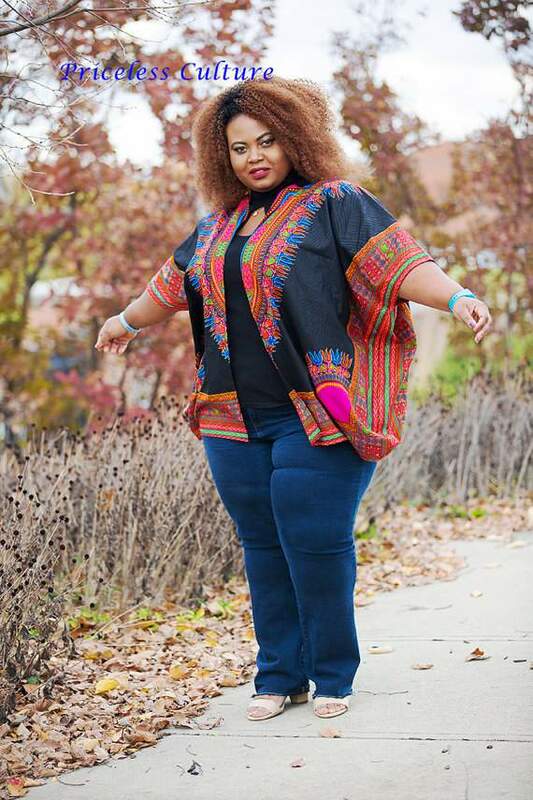 Here’s 8 plus size friendly brands where you can score your Black Panther outfit! 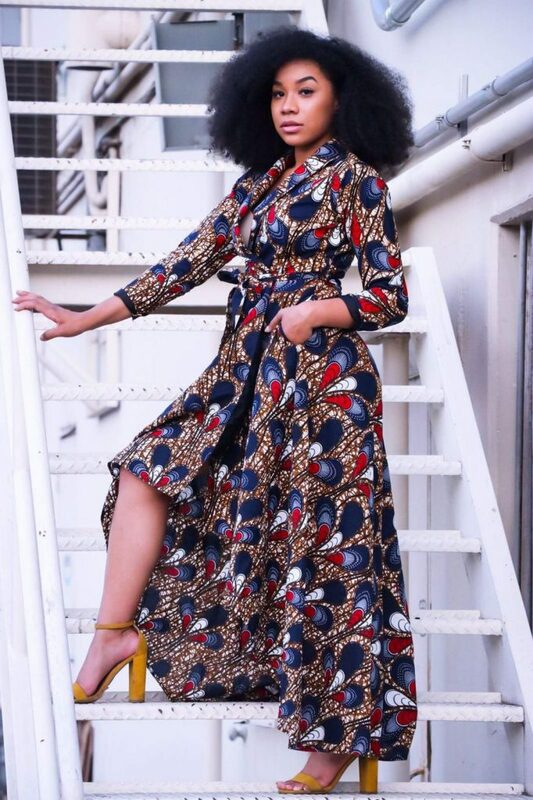 Maria Paulina is the destination for elevated African-Print Dresses, Tops, Pants, & other on-trend, modern Afro-print apparel, crafted specifically for today’s Plus Sized Women. 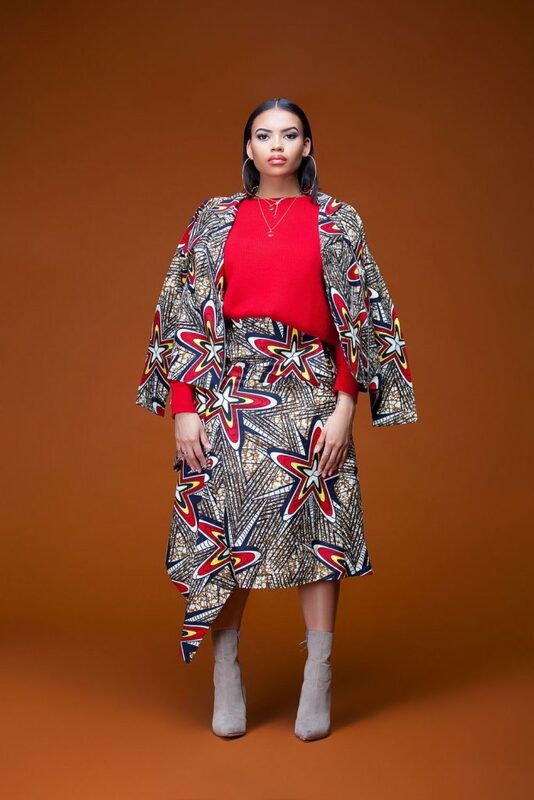 Created by Reuben Reuel, Demestiks gives us a chic and sophisticated take with Ankara and similar fabrics. A favorite of many celebrities, Demestiks serves up fashion, style, and a whole lot of confidence! Ray Darten specialize in designing deeply rooted African-inspired clothing and accessories focused on using styles to tell stories of magnificent Nigerian culture and heritage. The brand’s signature aesthetic is the creative integration of carefully sourced premium fabrics in perfect harmony with traditional African inspired wax prints. Tribe of Dumo mission is to bring this love of African Fashion to the world’s stage and intertwine our textiles with everyday western styles making every man, woman and child feel like a part of the Fashion Tribe, the Tribe of Dumo, where Culture meets Couture. D’IYANU (dee-ya-nu) is a ready-to-wear bold print clothing line offering quality, trendy African inspired fashion at affordable prices. At Grass-fields, they create beautiful African print clothing that is thoughtfully handmade in Cameroon and the UK. The fabric used to create their African print dresses and apparel is ethically sourced from all over Africa. Priceless Culture African Clothing, Caribbean Outfits, Wedding African skirts handmade with High Quality Kitenge, Ankara and 100% African Wax Prints. They have elegant matching accessories : Ankara bangles or bracelets with fabric stud earrings and more! How do you dress for a movie about an African superhero who becomes king? Like this! Look for vibrant colors, African patterns and ‘royal attire‘. You have two more weeks to prepare for the perfect outfit! If you happen to have a Kente cloth shirt, hat, or even a scrunchie, wearing it to the Black Panther screening might be one of the best times you could put that item to some use! Right? And guess what? We will be rounding up some of our favorite premiere looks that we see on Instagram! Share your outfit by tagging us on Instagram @thecurvyfashionista or use our hashtag #tcfstyle, and you mayyyyy be included in our roundup! Did we catch your faves? Miss a few? Let us know where you are shopping for your Black Panther wares! Bold and beautiful!!!! Most would not be becoming on me except the last with the jeans and I am loving the Ray Darten dress. All the outfits are beautiful. I really loved it, especially the blue print floral dress. Such lovely outfits!! This Momma would appreciate it! 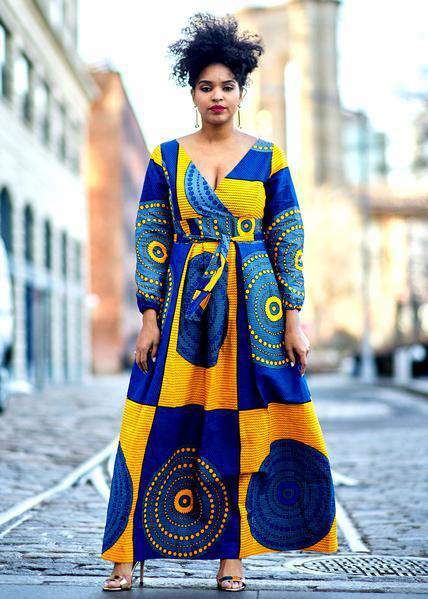 African print pieces are just breathtaking. I try to infuse them into my outfit any chance I get. I even did a 30 day African fashion series showcasing some of the best ankara styles I own. 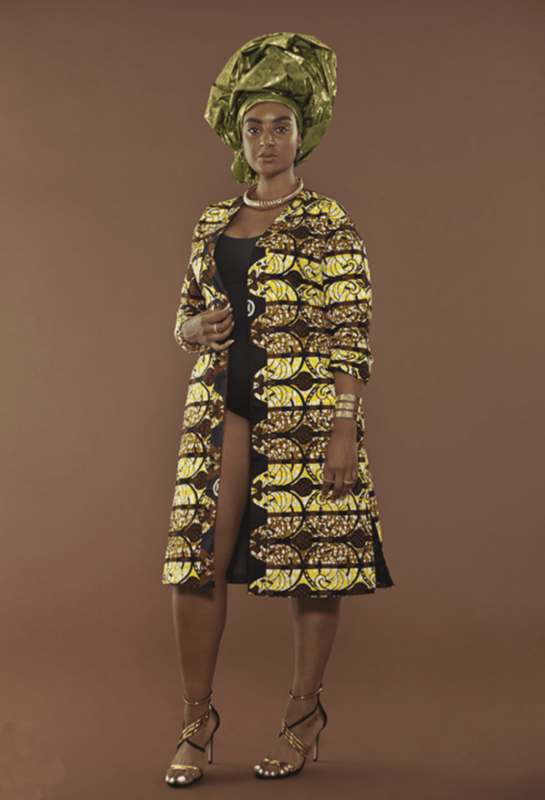 Pieces from D’iyanu, L’aviye, Boriah Clothiers and Tribe of Dumo made the list.